All events are free! Week one features extraordinary sacred music and dance with The Mystical Arts of Tibet featuring Tibetan Monks from the Drepung Loseling Monastery. 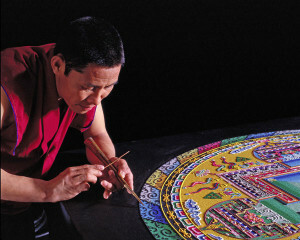 Throughout the week they will create a magnificent mandala sand painting created with millions of grains of colored sands and perform sacred chants. The week will conclude with a full performance by the Monks of the Drepung Loseling Monastery on Friday night and a fascinating closing ceremony for the sand mandala with a procession to the Hudson river on Saturday. 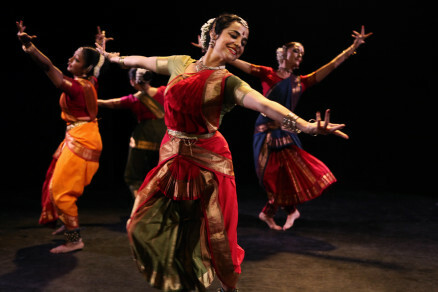 Week two brings the ancient Bharatanatyam dance of South India with Malini Srinivasan and Dancers alongside daily concerts of North and South Indian classical music.